Be part of an incredible journey into the heart of the Australian landscape on our Larapinta Adventure from 6th to 10th June 2019. 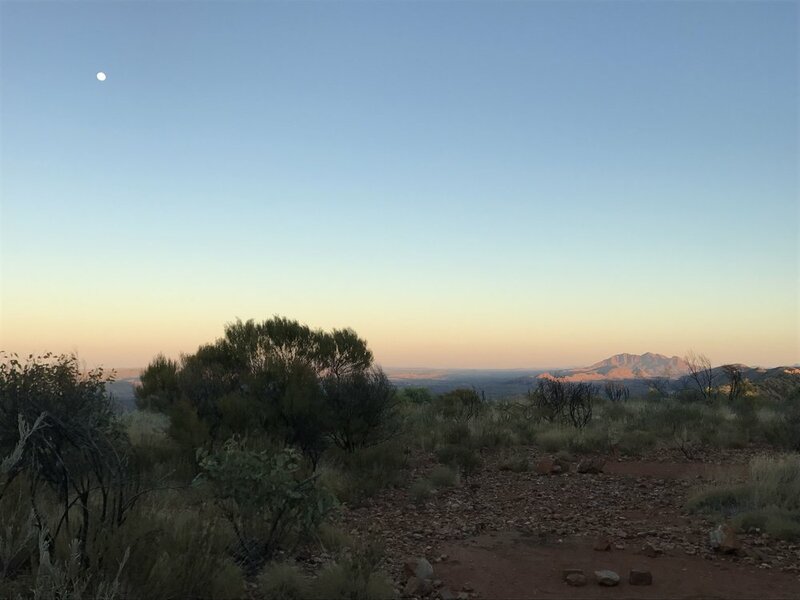 Join us as we hike two beautiful sections of the Larapinta Trail in Tjoritja, the West MacDonnell Ranges and enjoy stunning natural beauty, expansive desert views, beautiful gorges and pristine waterholes. You will be guided by Helen Cooper, Director of Primal Adventures, and an assistant. Helen is trained in Wilderness First Aid, and the group will have a personal locator beacon and first aid kits. The tour starts at Alice Springs Airport on Thursday 6th June at 12.30pm. We will return to Alice Springs airport at 12.30pm on Monday. We will make recommendations on the best flight options so that you have the option of travelling with the rest of the group.